Google Drive and Dropbox are my two frequently used storage apps. I have them on my MacBook Pro and my Android smartphone as well. I really love them and thanks to their awesome interface, I love browsing through my files there. If you have the habit of taking screenshots and sharing them with your friends, let it be a conversation or a tutorial or anything like that, then with the help of Dropbox, you can do that instantly and easily. I share screenshots using Dropbox because it helps me to save some space and I can easily get a link for sharing that screenshot. I’m going to perform this on Apple Mac OS X, but the steps are similar for Windows as well. In Mac OS X, you can find “Dropbox” icon in the top menubar. Click it and go to the “Settings” icon at the bottom right. Choose “Preferences…” there. Now, you’ll get this window (below). 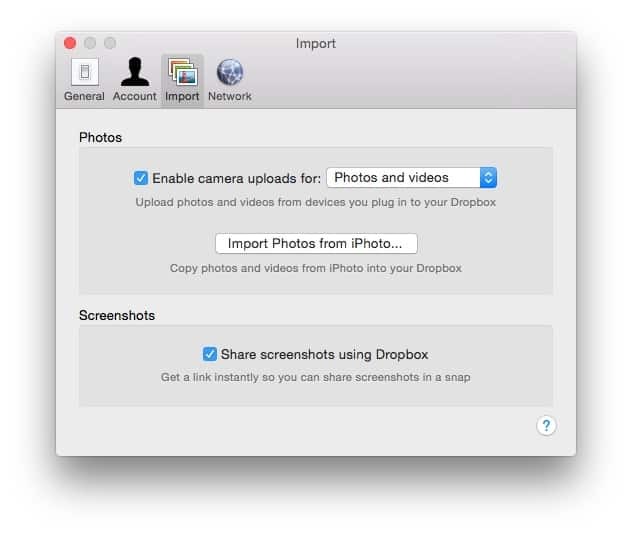 Go to the “Import” tab and at the bottom (under ‘Screenshots’), you’ll find this option to share screenshots using Dropbox. “Check” that option. That’s it. 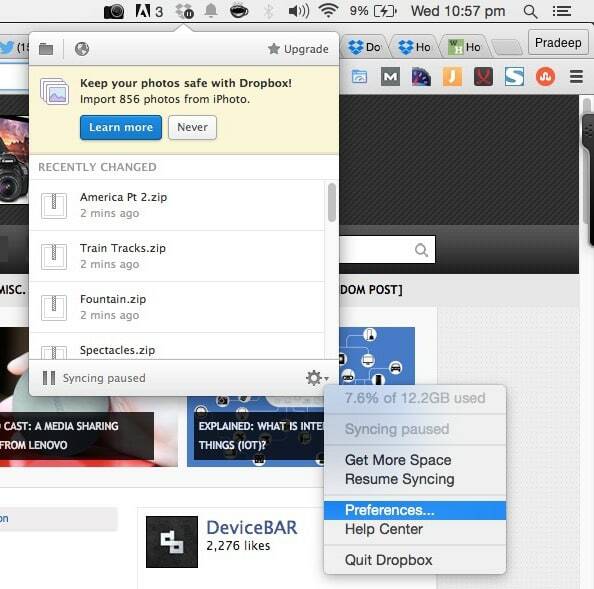 Now whenever you take a screenshot, it’ll be automatically saved in your Dropbox’s “Screenshots” folder. You can grab the link and share it with your friends or desired people. I find this really useful. I often take screenshots for my blog posts, but they are mostly temporary files, I’ll just use them and I need to delete them again. This consumes a lot of space in my HDD as well. But with this feature, now I can easily upload them to Dropbox under a separate folder and I can share them instantly whenever I want. If you are not using Dropbox, then you are missing a wonderful app, do signup and enjoy the benefits. Do try this and let us know what you think, if you face any issues or if you have any other queries, kindly let us know in the comments below, we’ll guide you right away.